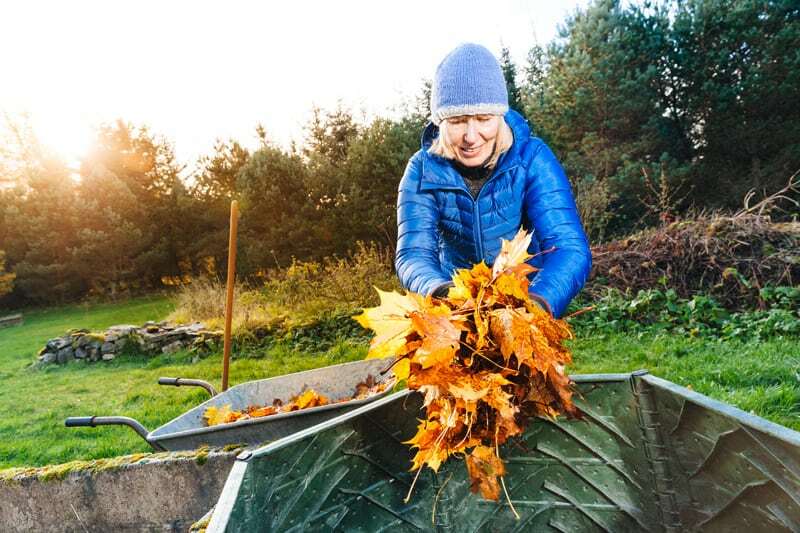 If you’ve got leaves, make good use of them and compost this Fall. Below you’ll find out more about composting your fall time leaves, how to do it, and why you should. Compost can be used for a variety of things and is made from organic, or biodegradable, materials like yard waste and food scraps. When these organic materials are collected, and they begin to decay, they go through a natural transformation process that recycles the decomposed matter into a soil that is rich in nutrients. There are two main ways to compost leaves and the method you use depends on what compost you want. 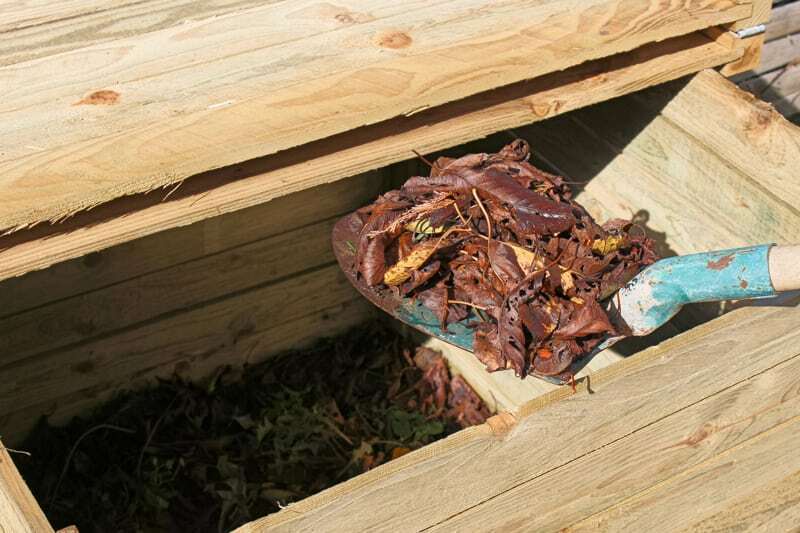 Leaf mold or leaf mulch retains more soil moisture and consists of just leaves and water. Leaf compost involves leaves and other organic materials, to provide nutrients and pest-control to soil and plants. At about 4-8 weeks, the leaves will begin to dry up. Add water when this happens. Around 6 months, you should notice that your leaves have turned a brown or black color, with a crumbly texture. Your leaf mulch is ready to use. 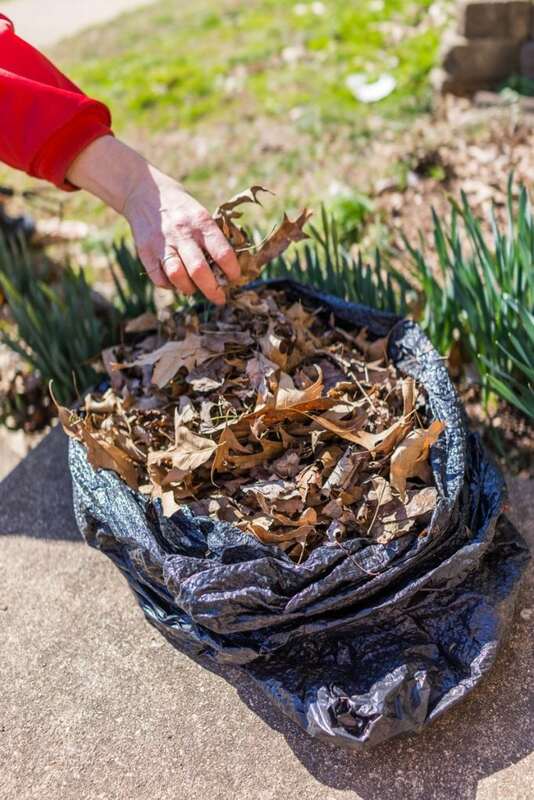 Shred the leaves with your lawn mower first and gather them in a durable yard bag. Grab a composting bin and start adding your leaves in. On top of the leaves, you’ll need to add something rich in nitrogen, like grass clippings, food waste, manure, or cottonseed meal. Your pile should be around 3-feet tall and 3-feet wide. Slowly build up this pile by alternating your leaves, then the nitrogen product. 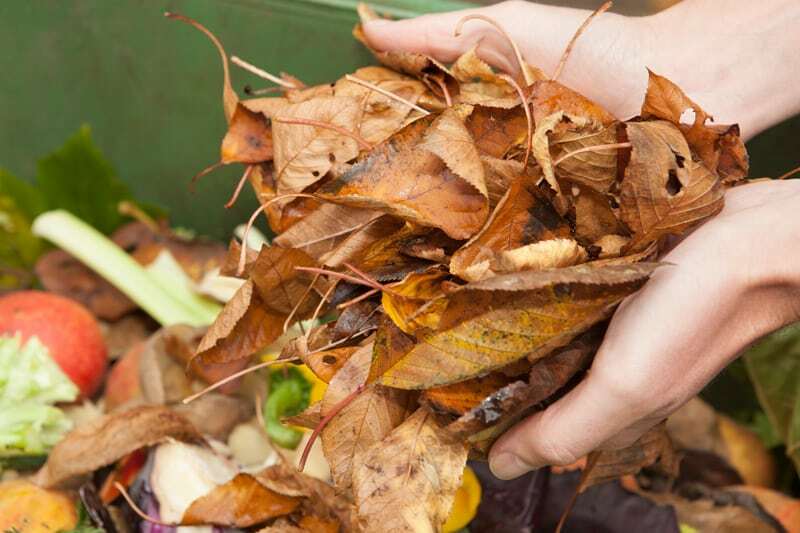 After your pile is complete, you should turn the compost about once each month. During winter, the process may stop because of the cold temperature. Only turn your compost during the cold if it’s well-insulated. If you ever spot dryness in your compost, add a little water. If the compost ever looks soggy or smells like it is rotten, dry it out with a little straw or leaves. Continue your turning-process until the compost is dark, dry and has a crumbly texture. It should also have an “earthy” scent to it. 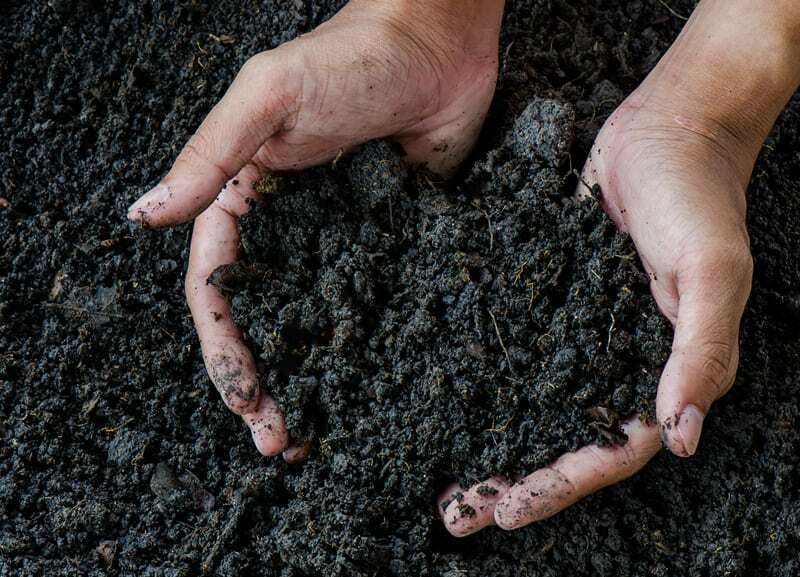 The timeframe for completing your compost is dependent on how often it is turned. If continually turned, it could be ready in a few months. But composting can also take up to a year. Start getting rid of your leaves now by creating nutrient rich “food” for your plants and trees. Create a leaf compost or leaf mulch to significantly improve your garden and landscape come Spring. Composting can be a big job, but in the end, it’s worth it. If you’re unsure about composting your leaves, seek advice from local professionals in the tree and yard industry.